If you think a Starbucks is a good place to get work done you’ve never tried to work in a Starbucks. The Venti Iced 24oz is starting to hit me, my fingers are shaking, and I’ll have to pee in ten minutes. What do I do with my laptop? As soon as I start to type, someone opens the door. 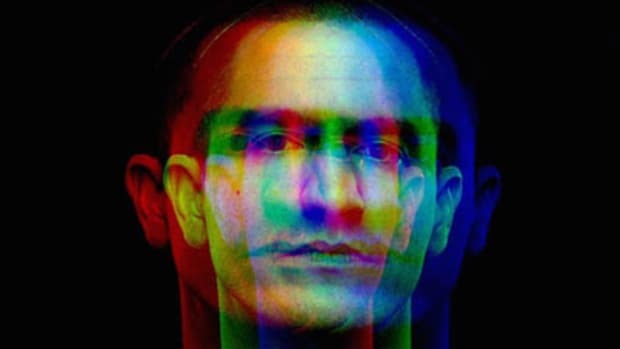 A new face to scan, a new life to judge. Those judgements always seem to be cynical; why is that? In a Starbucks full of faces, kids spilling their cookie crumbs all over the ground and parents cleaning snot up, there&apos;s one face that&apos;s different. His poofy, shoulder length hair stands out in a Starbucks full of soccer moms and businessmen; as does his wallet chain. As he sits by himself on his computer I see him reach into his messenger bag and pull out a sign. “A friendly game of chess for a new friend :)” is now propped up on a set up chessboard, inviting anyone who enters to sit down for the game. What a strange, foreign concept, at least to me. What&apos;s a “new friend”? Those don&apos;t exist. There is my solid group of friends that I see on the weekend, the few friends I play soccer with, bae, my roommate&apos;s turtle and that’s it. Outside of that, human contact is more chore than choice. I like being in my own world, it’s comfortable here. They say making friends is hard as a kid, but it&apos;s far harder as an adult. New people come into your life via a sloppy conversation over a cigarette on the porch outside a party, but sometimes you still find genuine human contact. Sometimes you meet someone and it just clicks. It’s usually those who march to the beat of their own drum in their own parade. The ones who are different, probably because I’m different. 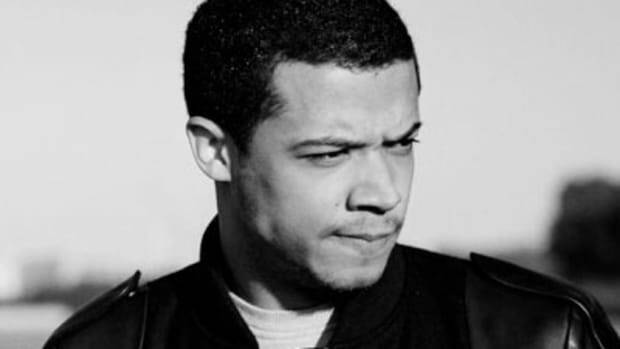 So is Raleigh Ritchie...at least his music is. At the risk of ruining my elaborate analogy, Raleigh and I have been close since the very moment I viewed his “Stronger Than Ever” video two years ago. Something about it resonated to my core. 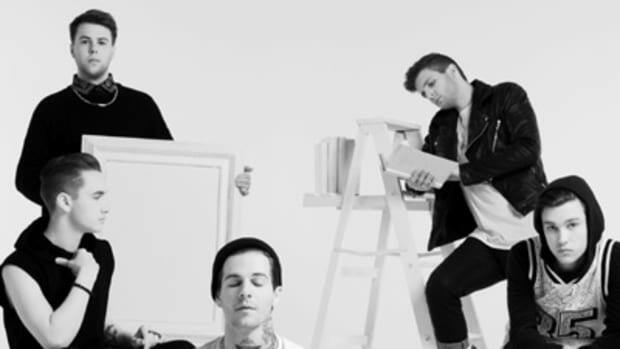 The video, the song, the lyrics, it spoke to me. Everything from the beat to the visuals are flawless, but I&apos;ve been waiting for his first album; that&apos;s the big one. Now that I&apos;ve been listening to Ritchie’s Columbia debut, You’re A Man Now, Boy, for a few days, I can say we are the best of friends. Ritchie&apos;s debut resonated deeply with me because I could relate to him. I knew him as well as he knew me. Though we live drastically different lives our fears are the same. I know that from “Stronger than Ever,” one of the more jarring, stunning efforts on the album. Our hopes (and the struggle to find them) are too; I learned that from “Never Better.” You&apos;re a Man Now, Boy hit me hard. Adulthood feels like an earthquake, the plates quickly shifting away from each other. I have one foot on one side and one on the other. Eventually I&apos;ll have to choose one side or risk falling in the middle. It’s a daily struggle, but just knowing someone else feels that way too is a comfort. In those times I turn to the music of those who have seemingly figured it out, but sometimes I don’t want advice, I just want to commiserate. Raleigh’s problems are my problems, and I’m willing to bet they are some of yours, too. It’s a profoundly emotional album but just like in real life, that emotion is hidden under puns, smiles and spliff smoke. The thing I love most about the album is the way Ritchie wrestles with fear but doesn&apos;t wallow in. He stands at the top of the cliff staring into the void, occasionally dangling his feet over, but never jumping. At the same time the album struggles with adulthood identity, connections and love, the album has an upbeat, fresh sound to it. I love the drums on “Werld Is Mine,” in fact the drums give this album it’s vitality, and the beat on "Cowards" is so unique. Kind of clumsy, kind of, almost, aloof, but so charming. But “The Greatest” is the best example. The glossy production will have you moving, the hook is intoxicating. On the surface it’s just that, an anthemic, forever-young party tune, but watch the video. Really look and listen. The beauty of “The Greatest” is in Ritchie&apos;s ability to simultaneously celebrate nights of excess and drunken debauchery but with something that resembles contempt. Lines like, “Last night was sordid, but we conquered the boredom,” or “We&apos;ve been blinded, assuming that this won&apos;t be our downfall,” point out the less glamorous side of it all. It&apos;s an escape not a celebration. We live like there’s no tomorrow because we don&apos;t want to deal with what tomorrow might bring. That’s a heavy message for a song that will make you want to two step. 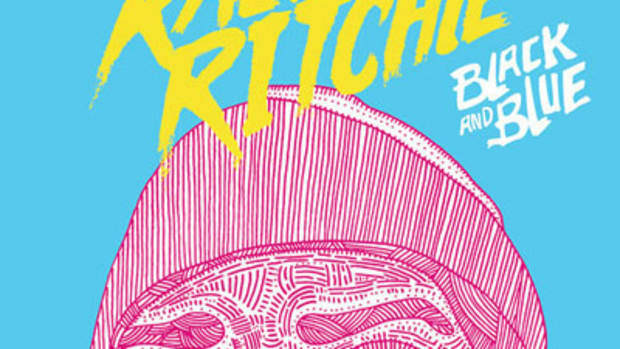 It was either Einstein or Chingy that said, “The definition of genius is taking the complex and making it simple.” By that definition, the way Ritchie pours his heart out emotionally yet keeps things colorful and fun on this album is genius. And the real beauty is how those that are different too, those that live in the margins, will be able to read between the lines. Music is a Starbucks of its own. A million people coming in and out, looking for what they want, exactly how the want it, and nothing more. It’s the artist&apos;s job to put up the sign - “new music for a new friend :)” - and at the off chance someone stops to listen, you better make it count. As an artist, if you want a new friend, a lasting relationship, you have to connect with that person. 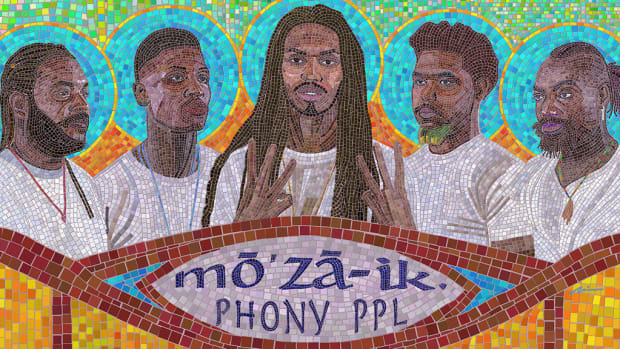 If Raleigh gets you to sit down and listen to this album…checkmate. 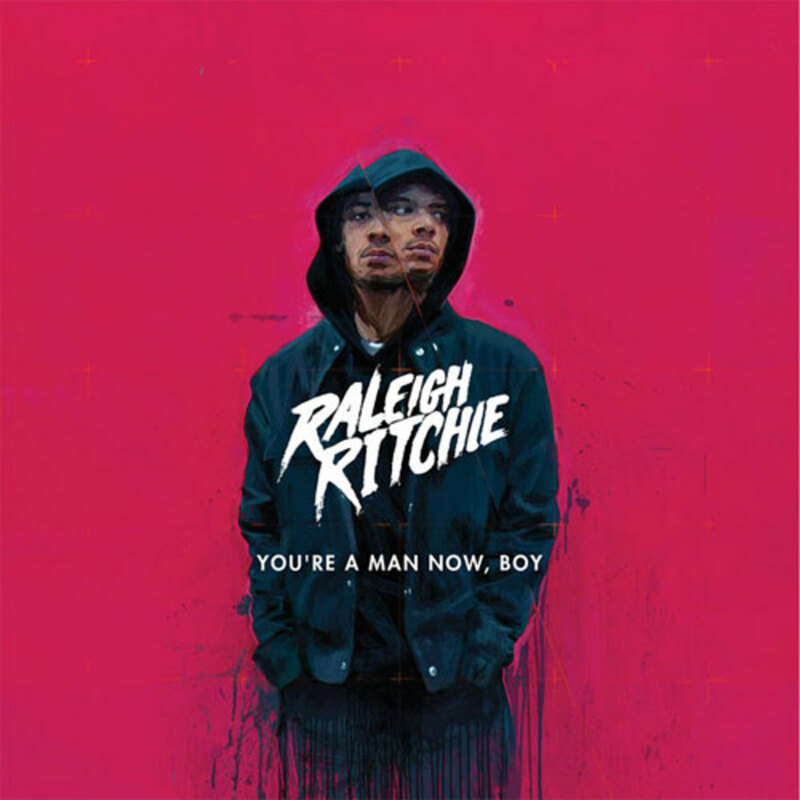 What the Hell Does Raleigh Ritchie's "Bloodsport '15 (Pt. 2)" Video Mean? Baby dolls shooting guns? Murdered mimes? Breaking down the most powerfully confusing video of the year. We tell Raleigh Ritchie about our high expectations for his upcoming album and he tries to deal with the pressure.